MNR water bombers flew over Lac Seul all week working on suppressing dozens of fires burning north of the Lake. It has been warm and dry and we begin our first fire ban tonight at midnight. We also had our first round of significant cancellations this week and the stats suffered for it. 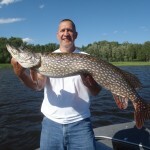 Overall the fishing was very good for both walleyes and big pike. 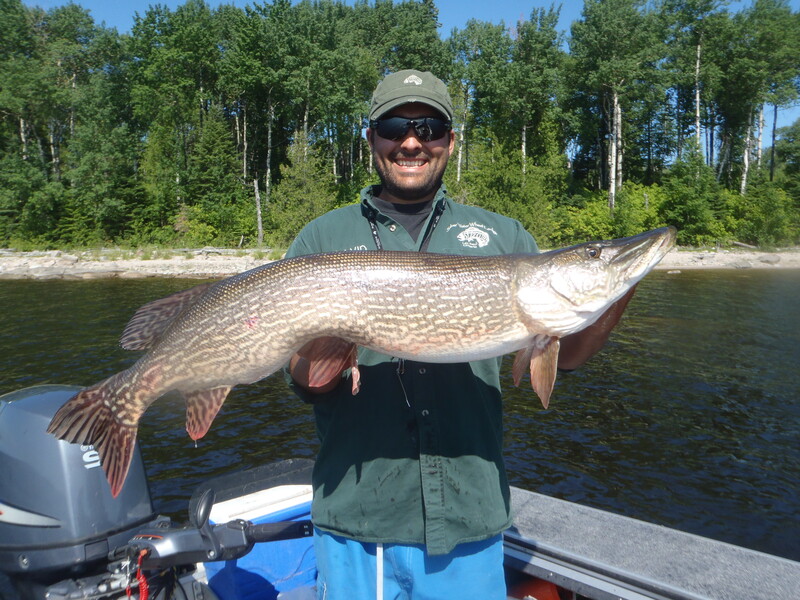 With 2 cabins open and guides off, we had 40% less angling effort on the water than usual. 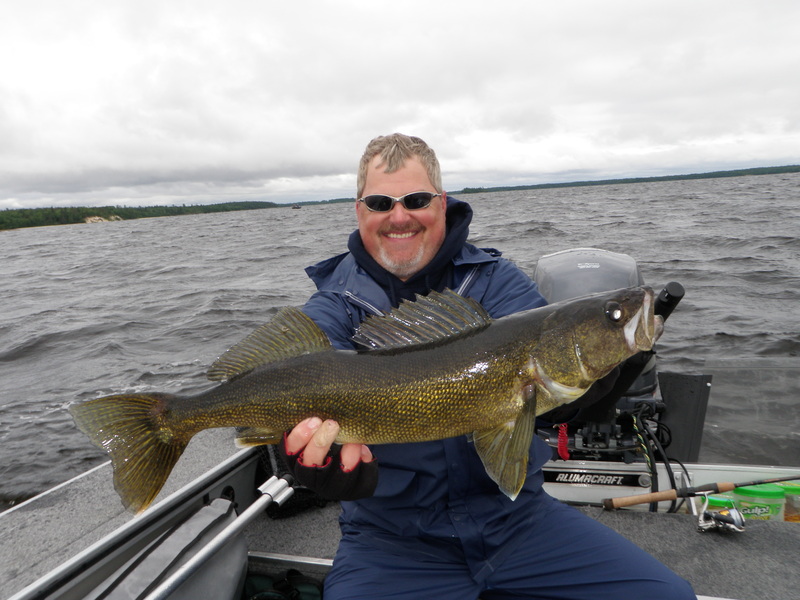 The walleyes began the week on shallow sand and as we ended the week, we found many groups of fish moving deeper onto main lake summer sand structure. 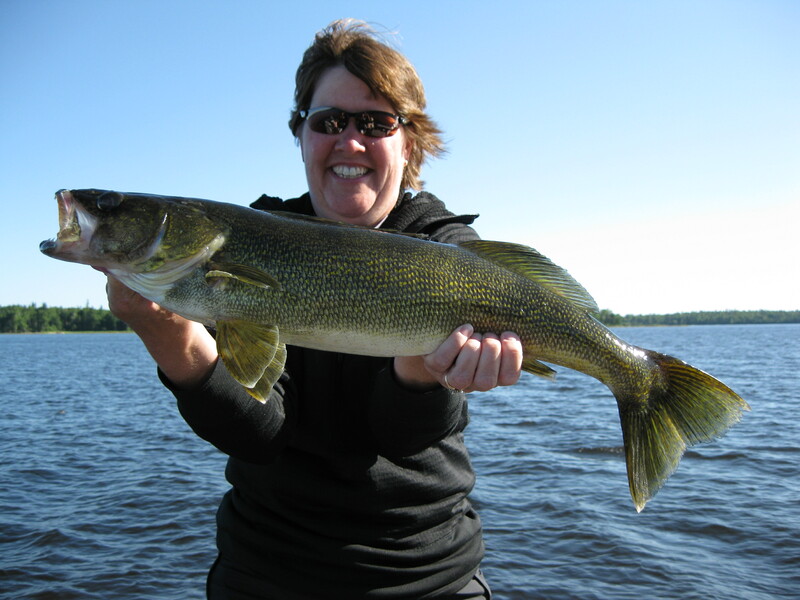 I would say that we are still in a transitional phase as there are still many walleyes in 8 – 14 ft. of water. 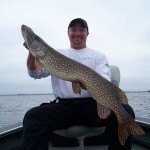 It is significant to note that the percentage of small fish is increasing in the shallows and the big fish are increasing in the 18 – 30 ft. zone. 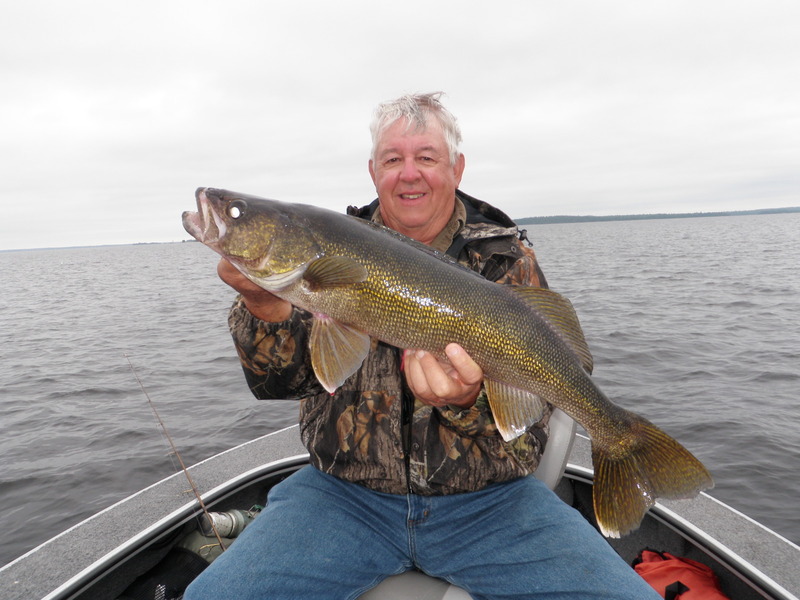 When the fish were shallow and aggressive, the Gulp bite was strong, but as the bigger walleyes have moved deeper, it has become more of a ¼ oz. jig and minnow bite. 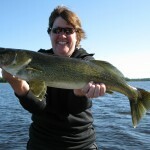 For the week, we had 24 walleyes over 27 in., including 4 – 28s. 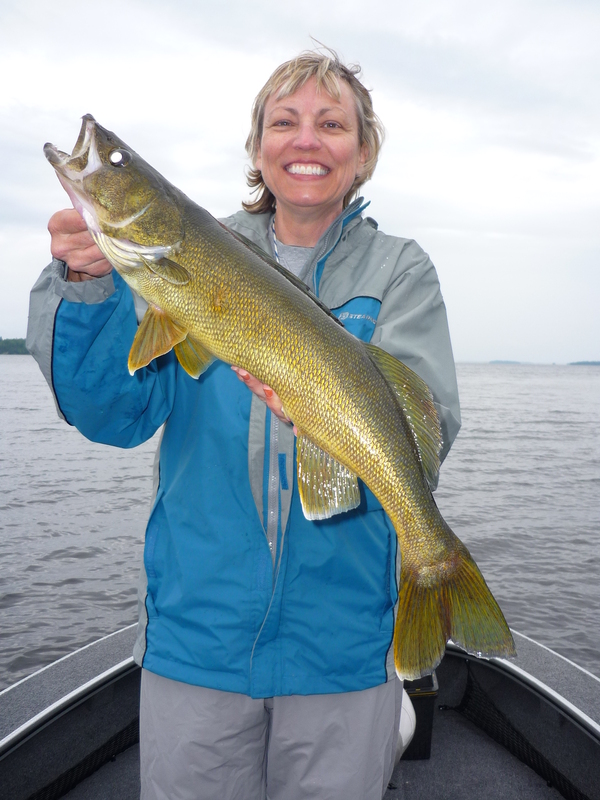 Guide sheets averaged around 40 walleyes over 18 in. per boat per day. The highest daily total was 76. 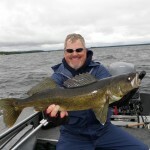 With very high temps forecast for the coming week, it is a 50/50 guess as to whether the walleyes will trend deeper onto main lake sand or reverse course and head back to shallow water and the deep side of the weed beds. We will aggressively plan to check both. 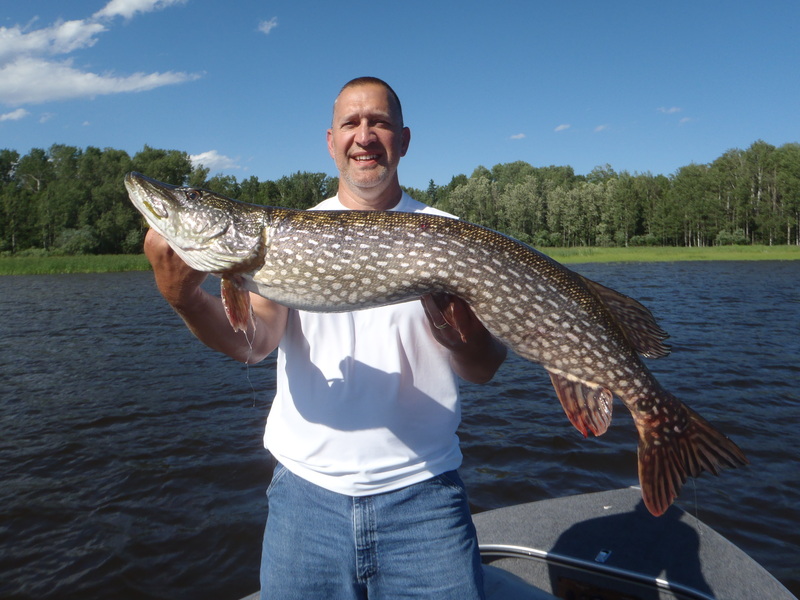 The big pike bite was good for the week, but inconsistent for patterns. 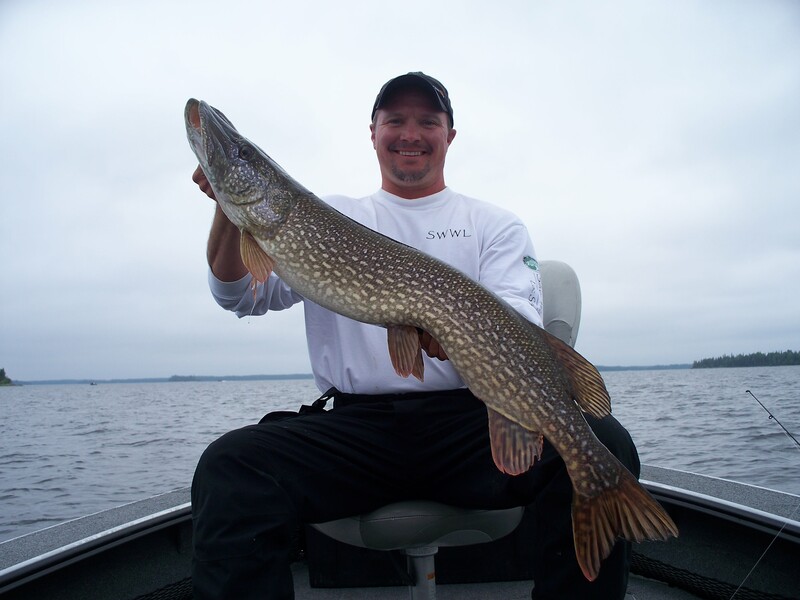 The big fish were caught from cabbage weeds on main lake points, transition bays, and we still caught some big ones in what would be considered deeper water spring time locations. Spoons and big in line spinners worked best through the weeds. For the week we had 17 over 37 in., including 2 – 40s, 2 – 41s, 2 – 42s, and 1 – 43. 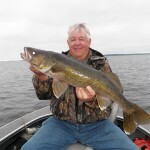 Guest: Mike, we had our best walleye fishing ever….. We had 24 walleyes over 24 in. in one day. 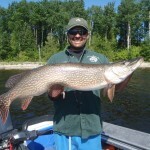 MW: That’s awesome big fish action… I just wish I had all of my guides on the water.